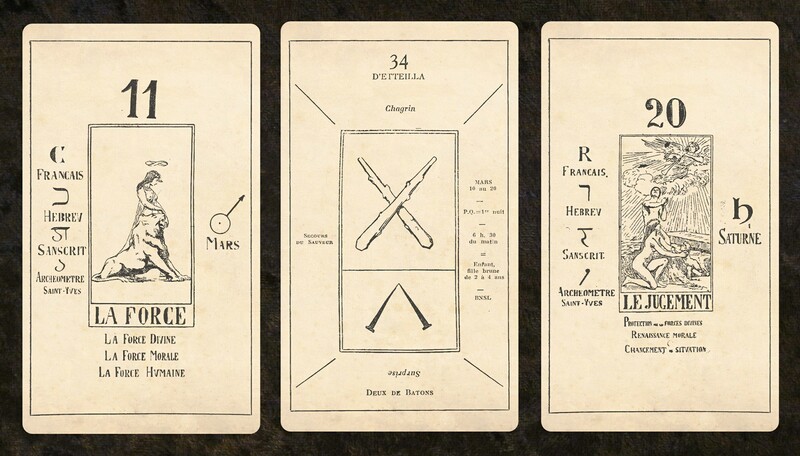 The Bohemian Tarot of Papus: drawn by Gabriel Goulinat under the direction of the renowned occultist Papus for the illustration of his book The Divinatory Tarot, this deck done in beautiful line-drawings brings together the occult work of Etteilla, Levi Christian, and Eliphas Levi. First published in 1909, it helped launch a new era of interest in the Tarot. This is a faithful reproduction of the original illustrations of this Tarot scholar. The Bohemian Tarot is printed on tarot-sized cards, and features 78 cards in beautiful black and on a creamy background. You can purchase this deck on my new site, Indie Oracles. What a wonderful piece of Tarot history!